Samin Nosrat, star of the Netflix series Salt Fat Acid Heat and author of the book of the same name, says of salt: “It’s fundamental to all good cooking. It enhances flavor, and it even makes food taste more like itself.” It origins, however, can be as murky as the salty seas. “For most people, at least in America, it’s something that we buy in the store, and we don’t think of where it comes from,” Nosrat comments as she tastes salt shaken directly from green tangles of seaweed. That’s not acceptable in this era of health- and environmentally-conscious consumerism. Everyone would like to be a little bit healthier, and if you didn’t at least try … you wouldn’t be worth your salt, would you? Far from being devoid of purpose, salt (sodium) is essential to the body. The body uses sodium to maintain fluid levels. A balance of fluid and sodium is necessary for the health of the heart, liver, and kidneys. It regulates blood fluids and prevents low blood pressure. Too much salt, though, can cause high blood pressure, which is why it is sometimes restricted in the diets of those at risk for heart attack or heart disease. Looking at the rapturous praise of pink salt across the blogosphere today, we see the same language as flowed from the keyboard of Mike Adams eight years ago: Natural. Unrefined. Unprocessed. Health. Clean. Clean eating, the search for natural, unprocessed foods unburdened by chemical additives (also called “the whole foods movement”) and known in various incarnations like, “The Paleo Diet” and “The Caveman diet,” has been exacerbated by the rise of health and “wellness” bloggers on social media worldwide, offering all manner of unqualified advice about what to eat (and especially what not to). In our post-truth world, it is sometimes more common to express what someone feels than what is true. Established chefs such as Nigella Lawson and up-and-coming baking sensations like Ruby Tandoh have both sounded off about the dubious claims of clean eating, pointing out that it can easily lead to obsessive and restrictive behaviors. Jordan Younger, formerly the blogger known as The Vegan Blonde, built her internet brand based on products like her own “5-day cleanse.” After she redesigned her diet to cope with health issues (her hair was falling out, for one), she faced death threats from followers feeling betrayed by her new moniker, The Balanced Blonde. Throughout the 2000s, Americans continued to search for other cultures and countries which supposedly held the secret of a long, healthy life (and a little physical beauty boost wouldn’t hurt, either). The French diet let us eat full-fat cheese again (and the peasants rejoiced). The Mediterranean diet invited you to eat fruits and vegetables, whole grains and healthy fats like olive oil. And then, in 2015, it happened. With a seismic clash, worlds collided: The Vikings entered the fray. Julie Corliss introduced the Nordic Diet to the world in 2015, which is now being splashed across websites in 2018. Men’s Health asked “What is the Nordic Diet?” CNN told everyone to start eating it. Oblivious to the invasion, I jaunted off to France in the summer of 2018 to meet with other food historians and spend a week jawing about our favorite topics: food, in general, of course, but with special interest in such wide and varied topics as wine, chocolate, fānīd (an Arabic candy) and traditions in 20th century Polish cookery books. While there, in the charming town of Tours, France, I discovered a local market with an épicerie, a spice shop, tucked into one corner. While my cohorts were dashing from counter to counter, stuffing themselves with French cheeses and tiny, elegant chocolates, strawberries the size of your palm and pillowy mounds of fried dough with Nutella at their centers, I was poring over the labels of various spice blends, my nose twitching at their delicate scents and the strange, peppery perfume of meals to come which hung over the store – if only I could fit everything into my luggage for the trip home. Then I spotted it: Viking Salt. In my frenzy to grab everything I could fit in my arms, dazzled by the array in gleaming tins, neat rows of glass bowls, and carefully labelled paper bags bounded with twine, I swept up a tin. Its cheerful blue label shouted that this was authentic! It came from Norway! The ingredients? Salt, onion, smoked salt, pepper, turmeric. Well, that’s unexpected. Members of Egersund’s town council and tourism board were surprised to hear of this discovery. “I’m born and bred in Egersund, but I have never heard about Viking Salt before. It is probably just a brand developed to make this spice interesting for consumers,” says Cathrine Johannessen Skogen, of Magma UNESCO Global Geopark in Egersund. Mark Kurlansky, author of Salt: A World History, describes early Viking salt production in the Loire River in France, on the island of Noirmoutier. One third of this long thin island is a natural tidal swamp, periodically flood with a fresh supply of seawater. When the tide retreats, the salt is can be harvested when the sun evaporates the remaining water. Traces of such Viking operations, dating to the 7th century, have been found in Normandy, and salt produced here was traded in the Baltic and within the Nordic nations. More isolated members of the Nordic community were even more salt-deprived than those on the European continent. Icelanders used black salt, created by boiling down huge quantities of seaweed, until the 15th century when white salt was first imported to Iceland. In two copies of the Book of Settlements, one of which dates to the early 1300s, mentions a salt works in Svefneyjar, an island in the west of the country. In 2016, a crowdfunding website launched Viking Silver – “The Super Salt,” aimed at resurrecting this tradition. Their product description assures contributors that this salt is not only a great way to “tastyfy” your food, but also announced: “The Vikings were true naturalists and knew the best way to ward off disease was through nutrition.” Suddenly, Vikings, whom Ibn Fadlan, a 10th-century Arab-Muslim diplomat, famously called “The filthiest of all Allah’s creatures” are being swept up into the wave of internet food-speak with the same language: Health. Natural. Nutrition. “In this case, [the image is that] Vikings are virile men. As fearless Vikings, they braved all sorts of obstacles and elements that demanded they stay hearty and fit. Do you want to stay hearty and fit, facing obstacles in your life the way the Vikings did? 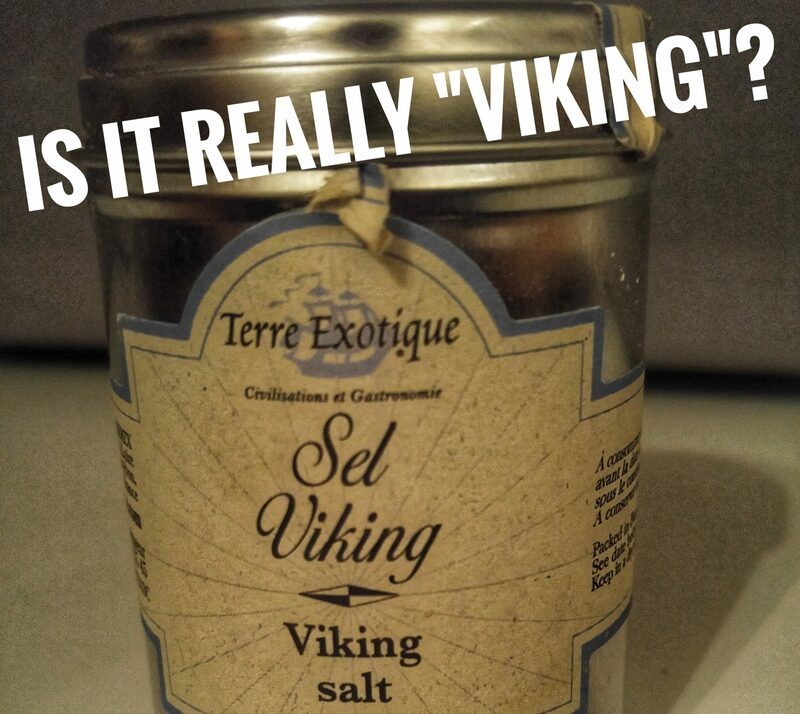 Then you need Viking Salt: the toughest spice there is,” says Zack Melton, a PhD student at University of Iceland who is currently working on his dissertation, “An Excuse for Violence,” which will examine modern reception of Viking culture in 20th century America. At this rate, it won’t be long before Instagram has lit up with seasonal, sustainable and locally sourced ways to balance your four humors according to the wisdom of Galen.